Mobile Applications recently surveyed more than 2,400 business and IT professionals, of whom 37 percent worked at companies with annual revenue of $1 billion or more. The results indicate an impressive uptick in enterprise adoption of mobile applications. Apple has been hit by a lawsuit that alleges the company and its partners are surreptitiously collecting personal information from the users of iPhones and iPads. CEOs running VC backed companies are optimistic about the opportunities next year, with 58 percent predicting an increase in investing and 64 percent planning to raise VC capital in 2011. The results mark a turnaround for the VC market, which experienced a big slump in 2009 as the economic recession hit. I read several very interesting articles on the Internet of Things today. I found them on the website, http://www.readwriteweb.com/. The Internet of Things (IoT) is described as, "A term for when everyday ordinary objects are connected to the Internet via microchips. 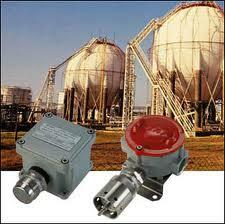 The technologies include sensors, RFID and smartphone standards like NFC. The use cases are still evolving, but over 2010 we saw large organizations like HP and IBM build out impressive platforms for the Internet of Things." 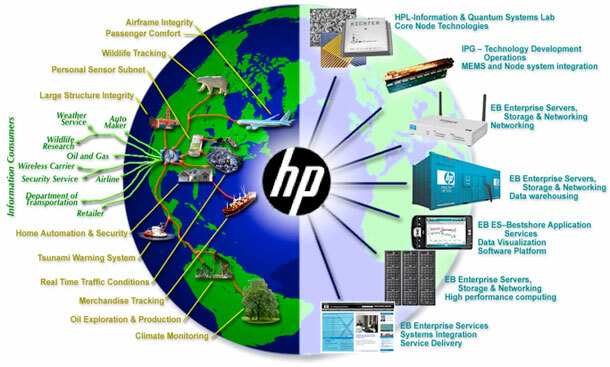 Why are HP and IBM building out Internet of Things platforms? According to Richard MacManus, "HP is building an 'Internet of Things' platform because it sees that the coming data explosion will lead to huge demand for more powerful computers and better processing of all that data." I believe companies have never effectively taken advantage of the talent and intelligence of their organizations. Often a person with valuable knowledge may not share it if they are not in the right geographical area, position or group. There must be ways that you can harvest more of the social intelligence of your organization. I think StreamWork is a step in the right direction. A recent survey by GfK Roper Poll found that three in ten Americans currently use a smartphone, such as an iPhone or BlackBerry. Among consumers with those devices, 30 percent said that, while shopping, they used their phones to try to find better deals elsewhere; and 40 percent used their phones to compare prices. Thirty percent of respondents in a recent survey said they expected to use mobile coupons during this holiday season, according to a new study by mobile marketing agency Briabe Media and mobile social networking company MocoSpace. Interestingly, only 14 percent said they normally use mobile coupons. A recent survey indicates that 79 percent of smartphone users would like to be able to download discount shopping coupons to their mobile devices and 73 percent would like to receive money off coupons on items they see while shopping in a store. 2010 was a turning point for mobile shopping with 44 percent of smartphone users downloading shopping apps and m-commerce sales increasing to $3.4 billion from $1.4 billion in 2009. To thrive in today's ultracompetitive and economically uncertain market, Wall Street firms need to adapt to the desires of bankers, traders, advisers and clients to always be connected while on the go. The Royal Bank of Canada has become that country’s first bank to launch a mobile banking application for select smartphones — namely, BlackBerry devices and iPhones, iPod Touch and iPad. Research published recently by Forrester shows that mobile banking provision in Europe is gathering pace. This refers to all three of the main mobile banking services – mobile web, mobile app and text-based services. In an era of busy work days and short weekends, getting all the errands done has become more and more challenging. To help keep that to do list short, banks have begun launching applications that allow customers to deposit checks from their smart phones. Ebay sees growth in mobile payments pushing its PayPal service toward the offline world, as merchants begin to allow consumers to pay for physical goods with a wave of their smartphone at the cash register. Visa is in a position to make a large profit from the payment processing of mobile transactions as this sector continues to grow in popularity. Last month, an unlikely partnership of Verizon, AT&T and T-Mobile announced a new initiative called Isis that will create an NFC contactless payment network for the three companies’ combined 230 million customers. For many people, smartphones are almost as indispensable as wallets, and your smartphone could soon replace your wallet. A collection of the biggest wireless carriers, handset makers and software developers are putting their weight behind a technology called near field communication. Of the top 100 financial institutions, nearly 40 percent offer access via mobile web, while 32 percent offer SMS banking and/or alerts and 32 percent offer apps. PayPal is announcing that its payments business is flourishing throughout the holiday shopping season, with a 300 percent increase in mobile payments from November 15 through December 15 compared to the same period last year. Cellphones functioning as "electronic wallets," shopping carts that provide recipes and a greater ability to command electronic devices with human gestures are some of the technological trends expected to emerge in the coming year and beyond. Which Mobile Application Company Will SAP Acquire Next? The Global Market for M2M Devices is HUGE! The global market for machine-to-machine (M2M) device connections will grow from 62 million devices in 2010 to 2.1 billion devices in 2020, according to a new report from Analysys Mason (London, UK). With a year-on-year growth rate of between 36 percent and 52 percent. M2M is predicted to be one of the fastest growing wireless connectivity sectors in the next decade. It doesn't take a rocket scientist to know that the above-listed markets are huge! M2M is another category of enterprise mobility that takes advantage of mobile technologies and miniaturized sensors and monitoring equipment to send and receive data wirelessly to and from a centralized server. On the server is management software that allows the human to understand what is going on in remote locations. I received an interesting call yesterday from a Wall Street analyst. He wanted my opinion on SAP's acquisition of Sybase. His premise was that there was not $5.8 billion worth of value in Sybase. I responded that I had no expertise in valuation so could not help him in that determination. However, I did have more than enough opinions on enterprise mobility to share. 1) Had he looked into the potential value of Sybase's 365? I said much of the world, and the fastest growing segments of the mobile market (LDC - less developed countries), are increasingly using SMS for mobile banking, money transfers, mobile payments, and many enterprise applications like field services, inventory, database queries, sales reports, etc. He had not considered this. Cameron Franks, area vice president of sales for the Americas at Sybase 365, an SAP Company, recently spoke about a survey they conducted with 1,000 consumers on mobile holiday shopping. The key finding of the survey was that 32 percent of consumers, if offered mobile-based deals, coupons or alerts, could be persuaded to make a purchase on their mobile device. Another recent survey by mobile marketing agency Briabe Media and mobile-social networking company MocoSpace, they found that 30 percent of survey respondents said they expected to use mobile coupons during this holiday season. Also in the survey, 62 percent said they planned to use mobile phones as a shopping tool prior to entering a store; and 46 percent stated they would use their phones for store or product research. More than one in five Americans will own a tablet by 2014, and 37 percent of them will own them for business use, according to a recent survey. Another article stated, "Apple could sell 21 million units of its iPad tablet next year as half of the largest and most prominent companies in the world begin testing or deploying the iPad for corporate use, according to an analyst with Wall Street firm Piper Jaffray." Expectations for the tablet market in 2011 are positive, but to put things in context tablets will still be niche devices, maybe 15 percent of smartphone sales. We’ll see more supply than demand in 2011, and probably some vicious price competition because Apple will remain the leader in style, features and shipments. Australians bought the most sporting goods via mobile devices in December 2010. Auto parts were the top selling products via mobile devices on Cyber Monday in Germany. The iPhone was the leading mobile platform for mobile sales on December 12, 2010. Toys made up 8.6 percent of mobile sales in France on December 10-11, 2010. 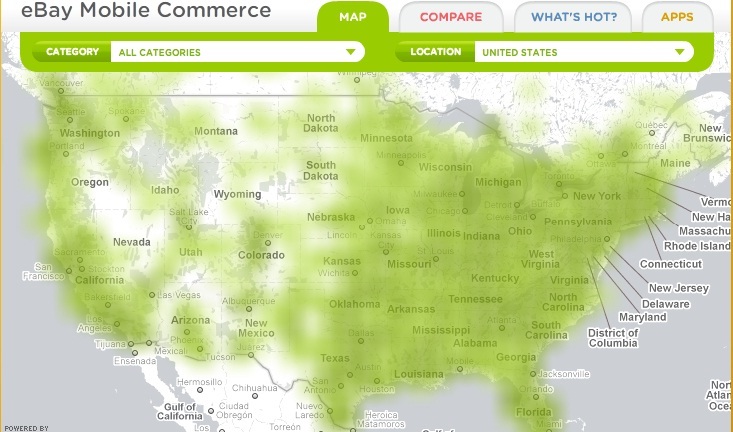 December 12 was the busiest mobile shopping day so far in 2010. In the USA auto parts made up 8.3 percent of mobile purchases in 2010. In the USA cell phones and accessories made up 6.5 percent of mobile purchases in 2010. In the USA vehicle sales made up 16.5 percent of mobile purchases in 2010. I was sitting in my office chair today reading mail. I received a magazine that had a QR code prominently displayed on a page. I grabbed my iPhone 4, opened my Red Laser application and snapped a photo of the QR code. A message instantly popped up asking if I approved - I said yes. Immediately, my browser launched and a person was talking to me about their product. I LOVED IT! Think of the way companies can change their marketing and sales approach by having their very best sales and marketing spokesperson deliver key product messages to anyone with a smartphone and internet connection anywhere in the world. No longer do you have to ask the sixteen year old sales assistant complex questions. You can simply open a mobile application that supports QR codes, click on a sign or advertisement and learn about the product from an expert. I was speaking with an SAP executive last month about SAP's partner strategy for enterprise mobility. The executive said that SAP ecosystem mobility partners would be well served to focus on building vertical industry specific business processes into their mobile applications, as SAP would be focusing more on horizontal business processes. The executive went on to say that SAP would seek to partner first for vertical expertise and then consider acquiring select companies that showed success and penetration in key SAP markets. This conversation got me thinking. Which vertical industries would be the likely targets of mobile applications that SAP might want to acquire? Could it be one of the following? This holiday season consumers are beginning to shop and make purchases on their mobile phones. The shift from buying presents in front of the computer at home or work to doing it during bus commutes or while standing in line at cafes is small but noticeable. PayPal has announced a whopping increase in mobile payments this festive season. In the month to December 15 the online payment processing company registered a 300 percent rise, compared to the same period last year. A new ABI Research report calls the short term growth of mobile online shopping "nothing short of phenomenal." Purchases in the U.S. attributed to mobile online shopping, excluding travel, grew from $396.3 million in 2008 to $1.4 billion in 2009. ABI expects full year 2010 sales will more than double again, to more than $3.4 billion. At Sapphire 2010 (May), Kevin Nix was in charge of SAP's mobile application development. At TechEd 2010 (October), Bob Stutz was in charge of SAP's mobile applications development. Today, (December 21, 2010), Raj Nathan is the interim EVP in charge of SAP's mobile application development. I want to volunteer myself for an interim VP role in the SAP Mobility Business Unit. I can wear a tie again for a few months and speak the corporate line. Really! "On premise, on demand, on device and in memory... we want to help our customers better leverage their existing investments and make transformational changes that are game changing." How is that? There must be a list of names they are going down. I have some time on my calendar before spring break. After the holidays give me a call. Does the job come with an iPad? My friend Puneet Suppal who works in in the Premier Customer Network at SAP, published an interesting article on SAP's Community Network last week, entitled Enterprise Mobility: What did we learn this year? In this article Puneet highlights the fact that with the increasing popularity of enterprise mobility there will be "... a lot of data moving dynamically between a lot of systems and devices." This data is often confidential and important, data that companies do not want to fall into the hands of competitors. Puneet says companies must step back and develop an enterprise mobility strategy, and one of the most important parts of that strategy is, "the governance model; a model that takes into account the organization’s sensibilities and addresses the management of these remote devices and what sits on them – and the related security aspects." MeLLmo has a way of displaying business intelligence data on mobile devices that is very compelling. I recorded a video interview with Santiago Becerra, the founder of MeLLmo, earlier this year. During that interview Santiago said they recruit developers from the electronic game industry because of their ability to make compelling GUI (graphical user interfaces). I have heard that one weakness in MeLLmo's strategy is the need to download business intelligence data to the mobile device and store it there. This may concern many executives that don't like the idea of allowing confidential business data to reside on mobile devices. Other vendors in the mobile business intelligence field do not store this data on the device. Rather, they simply hold it in memory and display it during the session. Perhaps this doesn't allow for as compelling a presentation, but the data may be safer. New research from Berg Insight shows the total value of the global mobile marketing and advertising market will grow from $2.25 billion in 2009 at a CAGR of 41 percent to $17.9 billion in 2015. This will then correspond to 15.7 percent of the total digital advertising market or 3.4 percent of the total global ad spend for all media. 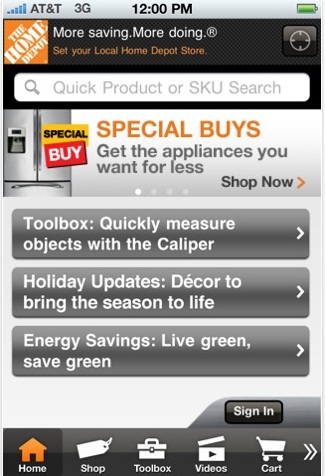 Thirty percent of respondents to a recent survey said they expected to use mobile coupons during this holiday season. Interestingly, only 14 percent said they normally use mobile coupons. Mobile marketing is certainly getting plenty of attention these days and for good reason. Targeted mobile campaigns, both B2B and B2C, are finding traction. It appears that today’s leading marketers realize we are only beginning to scratch the surface of mobile’s enormous potential. SAP's Mobile SDK allows many more systems integrators to enter the mobility market and to compete with established enterprise mobility vendors and SAP's Mobile Business Unit. This new competition forces established mobility vendors to emphasize the content and business logic that they have developed over many years. 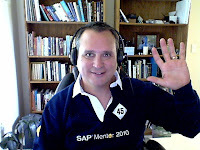 I listened to the pre-recorded SAP/Syclo webinar Mobility for Utilities Webcast today. At the end of the webcast there was a question and answer segment. The first question asked if Syclo was going to support SAP's SUP (SAP/Sybase Unwired Platform). First, Dan Mahowald, Vice President, North America Enterprise Mobility, SAP Americas answered. He said, "I am encouraged by discussions with the Syclo R&D team. This is a new area that both parties are exploring. Syclo says they intend to support SUP. SAP utility customers want many mobile applications, so SAP wants to help by providing them with a mobility platform (SUP) that can support them." My interpretation of Dan's last sentence is that Syclo's mobile infrastructure is Syclo specific. SAP utility customers may want mobile applications from a vareity of different mobile vendors, so a mobile infrastructure platform that is not specific to one vendor may be better. Next, Syclo's Senior VP SAP Business Development Jon Schmidt added, "It is our intent to support the SUP strategy and architecture. It adds great value. It is our intent to migrate our existing solutions to SUP. We are working very closely with SAP on this." I read a whitepaper today, ClickSoftware's Mobility Suite and the Sybase Mobility Solutions that details how ClickSoftware intends to support SAP's mobility strategy and the reasons for doing so. I get a lot of questions from systems integrators about how the various SAP mobility partners will be supporting SUP and SAP's mobility strategy, so this is a timely whitepaper from one vendor that does a good job of explaining their strategy. In the first three months of 2010, just 2.1 percent of smartphones shipped in Australia were based on the Android platform, but over the succeeding three months to the end of June, the percentage of Android shipments had more than trebled, reaching 7.1 percent at the end of that period. Then in the three months to the end of September, Android’s share of the smartphone market exploded again — up to 21 percent. Samsung has been in overdrive to catch up with rivals Apple, which makes the iPhone and Research in Motion's BlackBerry in the smartphone sector. In the last quarter, Samsung tripled its market share to nine percent, making it the fourth biggest player in the smartphone segment. I had the opportunity to speak to Dr. Moshe BenBassat, Founder of ClickSoftware yesterday about the release of their lastest version of ClickMobile called ClickMobile Professional. He was calling from Israel where they have been having some very stormy winter weather over the past week. Let me first give you some background on Dr. BenBassat. Following a long and successful academic career with positions at USC, Tel Aviv University and UCLA, he established himself as one of the world's leaders in the area of optimization and decision support software for a wide variety of applications. His research work was supported by DARPA (the U.S.’s Defense Advanced Research Project Agency); NIH (National Institute of Health); Ballistic Missile Defense Agency (via TRW); ARI (U.S. Army Research Institute); NASA; and NSF (National Science Foundation). Now that is credibility! *Important Note: These are not Dr. BenBassat's exact words, rather a compilation of my notes taken during our discussion. Kevin: Tell me about the new version of ClickMobile Professional that you announced today. ﻿﻿﻿﻿﻿﻿﻿﻿Dr. BenBassat: What makes this version unique is that it uses HTML5 to become device agnostic. It has what I call a universal mobile client that can run on and support all the major mobile operating systems, plus device specific features, offline/online and data syncing capabilities. I had the opportunity to catch up with SAP's Nick Brown with the Mobile Business Unit on the phone this morning. He was calling from dark and snowy Waldorf, Germany. This call was scheduled to help cover some of the questions that did not get answered at last week's SAP Infuencer Summit (see my full report from this event here). Here are the questions that were asked by you the readers of this blog that were not answered in full at the event. *Important Note: These are not the exact words of Nick Brown. I have often shortened the answers and revised them to be more concise for the purpose of this article. I have tried my best to keep the original meaning. Blame me for any misinterpretations. Kevin: Will there be Android support in SUP (SAP unwired platform)? Nick: Yes, full support will be released in the second half of 2011. However, partial support for lightweight applications will be sooner. The area of particular interest to me was mobile intelligence. B2M has a solution called mProdigy that can be embedded in mobile applications to report on all device and application related information. Specifically, it can monitor all activities in the mobile application and business process, so it can be used to analyze mobile device, application processes and human performance. One simple example is battery life analysis. You can view when a mobile device is charged and how much it is charged when it is removed from the charger. 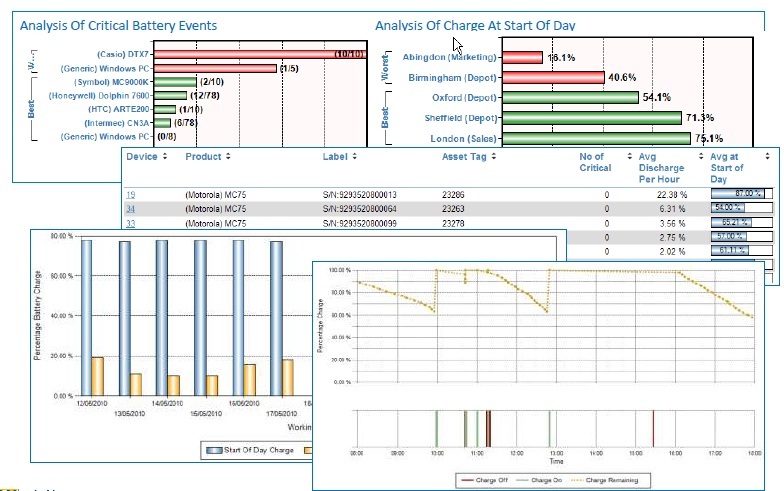 You can monitor the average battery charge your team starts with each morning and each time a critical battery level occurs? You can evaluate which devices have the best battery life and which have the worst? You can see when batteries are bad and which groups are simply not following correct battery charging processes? While 57 percent of consumers would be interested in opting in to a brand's loyalty club via a mobile social networking application such as Facebook, 80 percent still have not been marketed to by their favorite brands via their mobile device. Fresh off a partnership with Target, Shopkick is bringing its geo-coupon system to Android phones with a free app. Android users can now access in store coupons from Best Buy, Macy’s, Target, American Eagle, Sports Authority and more. This holiday season Toys ‘R” Us is equipping its retail outlets with scanners that can read coupon bar codes on mobile phones and is launching a text messaging program alerting shoppers to deals. Last week I attended the SAP Influencer Summit in Santa Clara, California. About 220 people were in attendance at the Santa Clara Marriott on Mission College Blvd. The purpose of the summit was for SAP to provide an update to industry analysts, bloggers and other people with loud voices in the market place, on the progress they have made on the goals that were shared earlier in the year. A consolidated view of my real time tweets from the event last week can be found in a blog article here. This is a long article, so if you have limited time here is the executive overview. At TechEd in October 2010 SAP was not prepared to talk about any roadmaps or details on the integration of SAP and Sybase. However, at the SAP Influencer Summit 2010, they brought the right people that were prepared to answer detailed questions. I was impressed that smart people are in charge and taking SAP enterprise mobility in the right direction. That direction should result in product releases by Sapphire 2011 (May 2011). I read an interesting article today in Bloomberg about mobile shopping and mobile retailing applications. Here are a few excerpts. Almost 60 percent of mobile consumers expect to use their phones to help with shopping plans and holiday celebrations this season, according to the Mobile Marketing Association. About eight percent of consumers in the U.S. have bought something with a phone. That compares with 32 percent in Taiwan, which tops the list of major industrialized countries, according to IE Market Research Corp. Finland was No. 1 in Europe, at 13 percent. SAP AG has unveiled new innovations for the SAP StreamWork application that provide business and IT with valuable new choices. Best Buy, Home Depot and Amazon are among the retailers ramping up efforts to let shoppers scan bar codes, get discounts and find product information on their phones. Research firms have ramped up forecasts for 2010 smartphone sales and now expect the market to double from a year ago. The fast sales growth is causing shortages of components, with manufacturers scrambling for parts such as phone screens. EBay sees growth in mobile payments, pushing its PayPal service toward the offline world. Mobile shopping grew a massive 310 percent from last year as shoppers choose to dial up deals rather than deal with the crowds and traffic. Dueling mobile money deployments have already racked up some impressive numbers in the Fiji Islands, a country of 800,000 people and over 300 islands. After only four months of service, nearly a quarter of all Fijians now have mobile wallets allowing them not only to transfer money to each other, but also to pay utility bills as well as top up their mobile phone airtime. 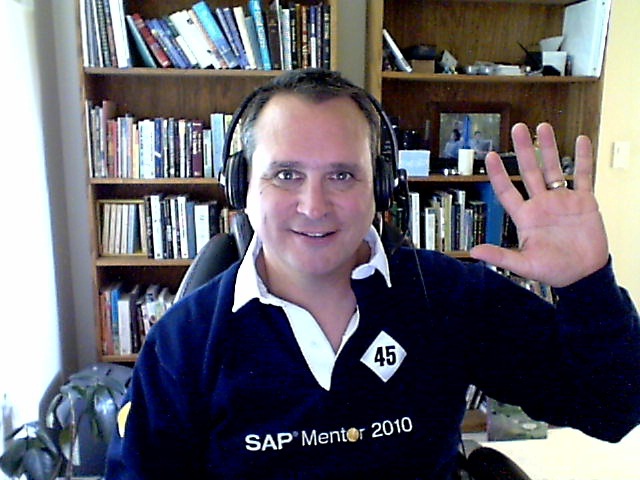 I have compiled my tweets (join me on Twitter @krbenedict) that I published over the past few days here at the SAP Influencer Summit in Santa Clara, CA. I focus on enterprise mobility so this is the topic of most of these tweets. 1. Prashant Chatterjee said 100% of customers add customized features to their mobile apps today. 2. We got solid mobile roadmap answers at the SAP Influencer summit. 3. The 365, Mobiliser Service Platform and SUP will start to converge around the tools in the mobile SDK. 4. Sybase Mobiliser Service Platform consists of communications, apps and commerce functions (365). 5. Mobile developers may have a revenue opportunity developing add-ons to the mobile SDK and selling on SAP EcoHub. This is the list of questions concerning SAP's mobile strategy that readers have submitted to me over the past three days. I am attending the SAP Influencer Summit this week and have shared these questions from the mobility teams at SAP/Sybase. I have some answers already and will write these up in a separate article later this week. If you would like to add a question to this list please email them to me and put SAP Influencer Summit Questions in the subject line. Here is the latest compilation of questions submitted by readers of the blog http://mobileenterprisestrategies.blogspot.com/. The other day a group of us mobile technology consultants met at the Chicago airport before driving out to a client's location. Having missed lunch, we decided to search for a quick bite to eat. We found a Subway Sandwich location right off a freeway exit. However, once we arrived we found that the restaurant had one-inch thick bullet proof glass separating the customers from the restaurant staff, and a group of men were guarding the entrances to the parking lot and making non-stop transactions through the windows of a long line of cars. Our mobile applications and mobile maps helped us quickly find a restaurant, but our mobile apps did nothing to help us know if the locations were healthy or safe. I want a mobile application that will show me more than simply data points. I don't just want to know where food is sold, but where it is safe to consume it. Who wants to find an unsafe restaurant in which to eat? Where is the value in a mobile application? Today, at the SAP Influencer Summit, Prashant Chatterjee with Sybase, an SAP company, hinted at an answer. He said the value mobile software developers need to bring to the SAP mobile ecosystem is vertical industry knowledge. The value of a mobile application is found in its ability to support very specific business and industry processes. 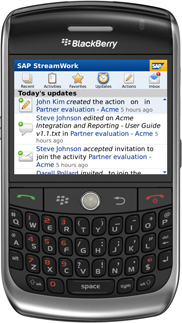 The ability to integrate and automate best practices and rich content into mobile applications is powerful. No one is looking for vendors that can simply build screens on a mobile device. They want intelligent mobile applications, with deep industry expertise architected into it and integration into core business software systems and database content. Prashant gave an example of an oil refinery environment. He said there are very unique requirements for enterprise asset management in an oil refinery and in the management of pipelines. These unique requirements, supported by a mobile application, would be a great vertical niche market. An example of a mobility solution vendor is Syclo, a co-innovation partner of SAP. They have tightly integrated their mobile applications with the SAP enterprise asset management solutions to provide this industry support. On Cyber Monday mobile commerce sales from eBay shoppers in the United States increased 146 percent year over year, with California, Nevada, Maryland, Pennsylvania and Florida leading the way as the top mobile shopping states. IBM announced that the Bon-Ton Stores, Inc. website has experienced a double digit increase in sales using IBM software to advance its online and mobile commerce initiatives. Bon-Ton Stores, Inc. sells leading brands in apparel, cosmetics and home furnishings. Sybase, an SAP company, has made a lot of money over the years selling mobile client databases. These databases (SQL Anywhere Database Client) reside on the mobile device and are synchronized with a technology called SQL Anywhere Mobilink. I wonder how this revenue stream will be impacted by the emergence and adoption of HTML 5. Does anyone dare share an opinion? HTML 5 has a database built into it. Every mobile client that uses this HTML 5 database means one less potential SQL Anywhere Database Client license for Sybase. I read this week on Gil Bouhnick's blog MobileFever, that ClickSoftware is releasing their first HTML 5 version of their ClickMobile solution. Last month I saw a demo of their iPad version running HTML 5 and it was a great looking application. I look forward to your thoughts and comments regarding the impact you believe HTML 5 will have on the enterprise mobility market. Analysts predict the mobile application market will be worth $4 billion by next year. Google's Android OS has successfully managed to dethrone Symbian as the most popular smartphone OS in Asia for the third quarter of 2010. The iPhone's popularity in Japan is cracking open an industry long thought inaccessible to outsiders. I have been watching with keen interest the convergence of social networking and enterprise mobility. Recently, SAP mobility partner, ClickSoftware announced a social media extension to their SAP Workforce Scheduling and Optimization solution that is very interesting and worth highlighting. Customers can book and change service appointments directly on a service organization’s Facebook page. Customers can receive reminders and notifications on the expected arrival time of the field service engineer to minimize wait times. With this extension, Facebook becomes yet another interaction channel for ClickContact, which can also integrate two-way communication with company web pages, automated voice calls, e-mail and SMS. Customers may select their preferred channels of communication at any time. Right now, Facebook does not support this application extension on the Facebook mobile application, but this is expected in the near future. So today the customer accesses Facebook from their browser and books or reschedules their appointment. How does this relate to mobility? Customers can configure the Facebook application to send notifications to their smartphones via email, voice message, Facebook notification or text. Is another mobile acronym on your Christmas list? Great! I have one for you, MEMP (mobile enterprise management platform). A MEMP is designed to help you keep mobile systems, mobile networks, mobile devices and your mobile workforce working and productive. This is not easy if you have several thousand mobile devices being used in mission critical roles across a wide geographic area. When my family and I are traveling on trains in Europe, all of the rail staff that check your tickets and sell you snacks are carrying mobile devices. Airports and airport gates are increasingly being operated by people with mobile devices. Public safety and emergency responders are nearly all carrying mobile devices today. If you have the good fortune of being the person responsible for keeping mission critical mobile applications and mobile devices operating, then you would appreciate the value of a MEMP. 1. Property Rights – Creators must have proper incentives to create. 2. Scientific Rationalism – Innovators must possess the proper intellectual tools in order to innovate and must be able to do so without fear of retribution. 3. Capital Markets – Entrepreneurs must have access to sufficient capital to pursue their visions. 4. Transportation/Communications – Society must be able to rapidly and efficiently move information and finished products. Bernstein says that the presence of, or lack of, these four items determines the level of prosperity of a people or country. When I read item four on the list I thought about enterprise mobility. I have worked on, seen and heard about many mobile enterprise applications that have enabled economic development and a higher quality of life. Let me share a few of them. In an article re-published in The Wall Street Journal last year, The Secrets of Intangible Wealth, author Ronald Bailey writes the following, “A Mexican migrant to the US is 5 times more productive than one who stays home.” Did your interest peak like mine when you read that line? The data comes from research done by the World Bank. Here is the reason why according to Bailey. The average American has access to over $418,000 in intangible wealth, while the stay-at-home Mexican’s intangible wealth is just $34,000. What is intangible wealth? The World Bank’s environmental economics department describes it as, “trust among people in a society, an efficient judicial system, clear property rights and effective governments.” The value of these intangibles according to the World Bank is significant. Who wants to invest in property if it can be taken away any time? Who wants to develop a large manufacturing plant in a location where these intangibles are hard to come by? Picture this - a service technician, Frank, opens his mobile application and sees that he is ranked sixth out of 18 service technicians in products and services sold. He also sees that he is the fastest service technician at completing work on a particular piece of equipment. Overall he can see that he is ranked number three when all of the figures are added up and weighed. Now let me ask you, "Is this a good thing?" Is it useful to develop KPIs (key performance indicators) and then measure and share them? Will it motivate positive performance? One of the key challenges managers have is effectively managing a remote and mobile workforce. Will KPIs that are measured and shared on mobile devices help? New forecasts from ABI Research indicate that in 2015 about 244 million people worldwide will carry out financial transactions using their mobile phones. Google’s newest iteration of its Android phone OS will include a wallet that lets you use your phone to make payments by tapping it against a cash register.